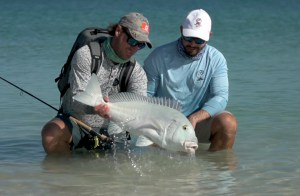 FLY fishers from around the world have been astounded and charmed by the ultimate fly-fishing experience of sight-fishing for Brazil's fiercest fighting fish. 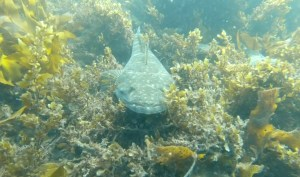 SHANE Chalker captured this inspiring underwater footage of some big flathead in Wallis Lake, NSW. 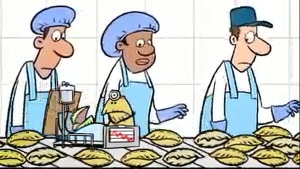 CHECK out the latest biosecurity awareness video. 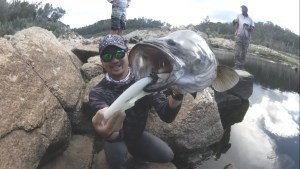 WATCH as topwater lures get smashed by Murray cod using the Bone Voyage series travel fishing rods! It's explosive action! 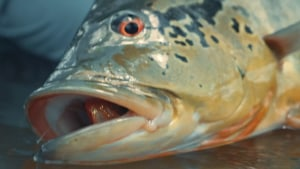 MURRAY cod, Australia’s largest exclusively freshwater fish, can eat a full-grown duck. They are the apex predator of our inland rivers. 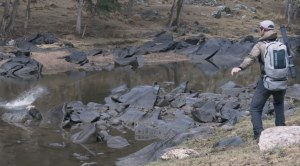 In this video, join the Aussie Fly Fisher crew as they chase down the elusive one metre Goodoo on fly. FILMING marlin from a drone looks pretty epic! 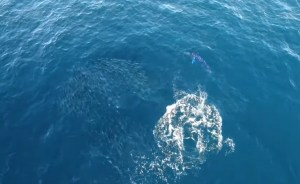 Check this clip out for some epic drone footage of marlin feeding above and under the surface. 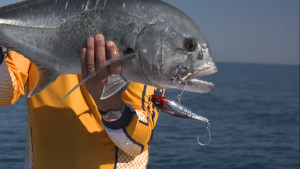 IN this video the Capt Jack Productions team rigged up and went exploring the wild and untouched coastline of Northern Australia. 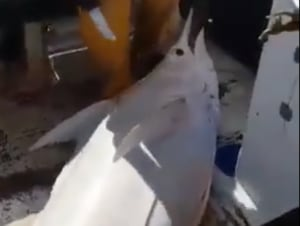 THIS video shows the "albino" marlin recently caught off Martinique in the West Indies. 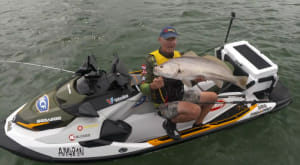 CATCHING a jewie from SeaDoo's new FISH PRO. WITH the warm water now pushing in right along the east coast of Australia, the marlin fishing is beginning to fire. Come along for a ride with Shimano Pro Chloe Laurence in the pursuit of the mighty striped marlin off the South Coast of NSW. 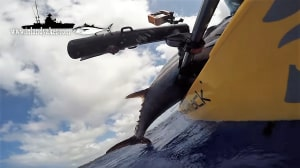 WATCH kayak angler Raf Vargas, who pedalled his Hobie Pro Angler from a Guam beach and, after a two-hour struggle, lands a pending world-record dogtooth tuna. HAVE you checked out the new Halco Slidog 150? An aweome fish catching lure at a realistic price...check one out at your nearest Halco stockist.